To register for the 2019 Summer camp please fill out the form below. The camps will be held at 336 Race Street, San Jose, CA 95126 on June 17, 24, July 8, 15, 22. Payment and registration form must be received two weeks prior to the start of camp. The week-long day camp half-day is 9:00 a.m. – noon and is $450. Complete the form below or e-mail, fax, or mail the PDF form to The Sensation Nation to guarantee a spot. 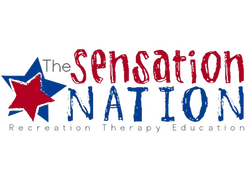 Email to: info@thesensationnation.com, fax to: (866) 215-9677, mail to: The Sensation Nation, P.O. Box 28647, San Jose, CA 95159.